Jin has struck yet again with his visual. 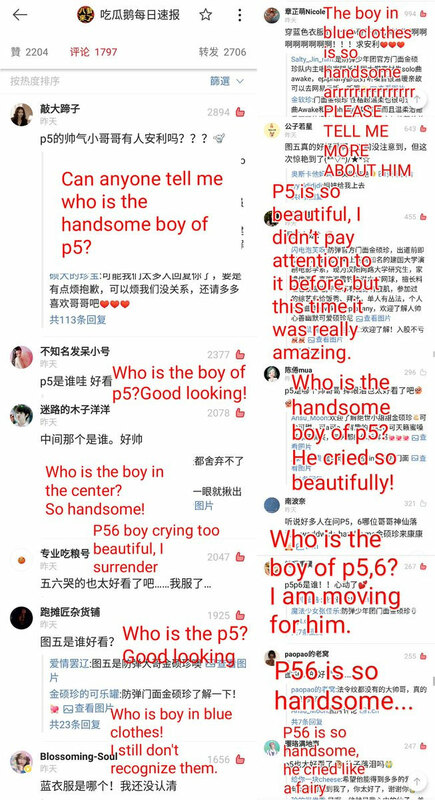 Recently, Jin has just got a new nickname from people in China: The guy in the 5th photo. 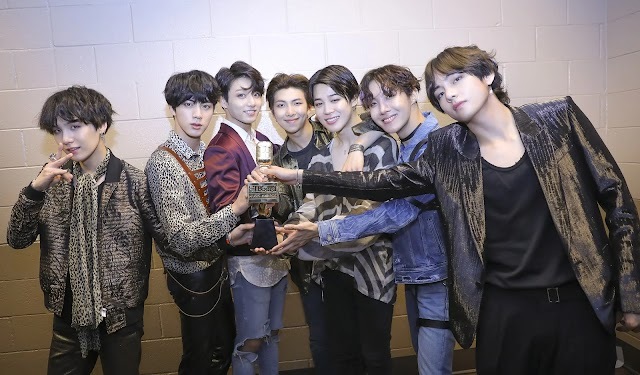 It was all started when a famous Weibo blogger with a million fans mentioned the news about the awards BTS has received at the '2018 Mnet Asian Music Awards' in Hong Kong. 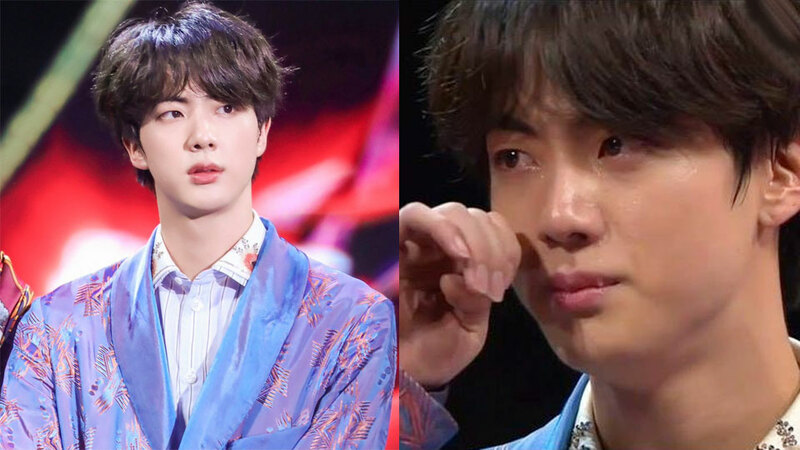 The blogger uploaded two photos of crying Jin and people quickly have been curious about him. 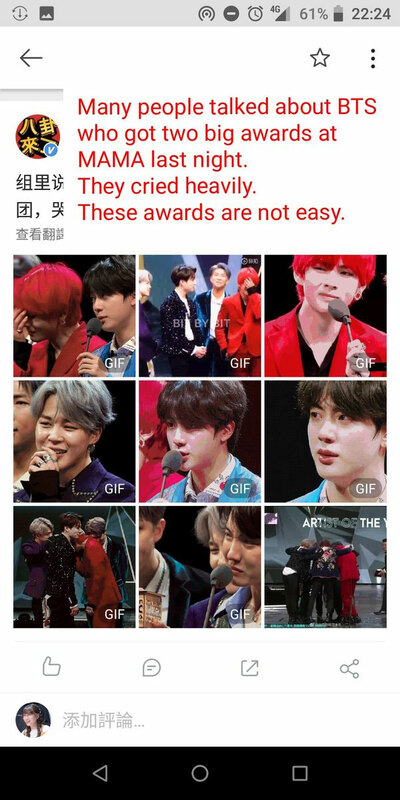 As you can see in the translated comments below, people were asking about Jin after they realized how beautiful he really is, even when he was crying. 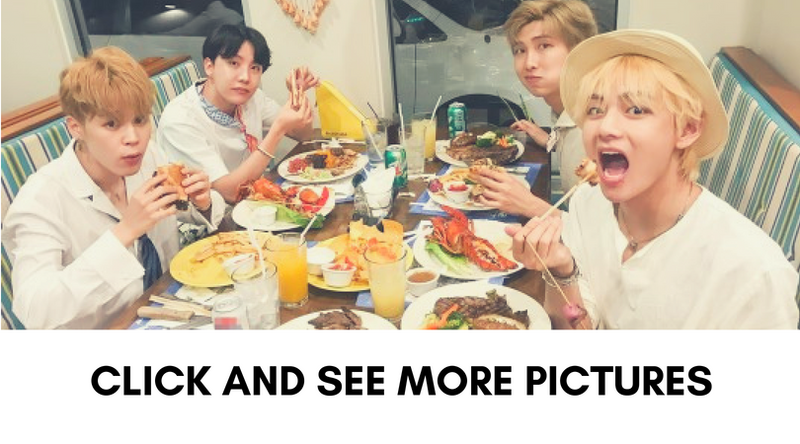 Since they were not familiar with Jin, they simply called him "The guy in the 5th photo." Hundreds of fans called him that way and it has become a new nickname for Jin in Weibo. So, how do you like "The guy in the 5th photo"?